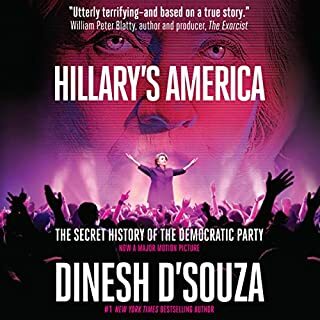 The explosive new book from Dinesh D'Souza, author of the New York Times best sellers Hillary's America, America, and Obama's America. What is "the big lie" of the Democratic Party? That conservatives - and President Donald Trump in particular - are fascists. Nazis, even. In a typical comment, MSNBC host Rachel Maddow says the Trump era is reminiscent of "what it was like when Hitler first became chancellor." But in fact this audacious lie is a complete inversion of the truth. Yes, there is a fascist threat in America - but that threat is from the Left and the Democratic Party. The Democratic left has an ideology virtually identical with fascism and routinely borrows tactics of intimidation and political terror from the Nazi Brownshirts. To cover up their insidious fascist agenda, Democrats loudly accuse President Trump and other Republicans of being Nazis - an obvious lie, considering the GOP has been fighting the Democrats over slavery, genocide, racism, and fascism from the beginning. Now, finally, Dinesh D'Souza explodes the Left's big lie. He expertly exonerates President Trump and his supporters, then uncovers the Democratic Left's long, cozy relationship with Nazism: how the racist and genocidal acts of early Democrats inspired Adolf Hitler's campaign of death; how fascist philosophers influenced the great 20th century lions of the American Left; and how today's anti-free speech, anti-capitalist, anti-religious liberty, pro-violence Democratic Party is a frightening simulacrum of the Nazi Party. Hitler coined the term "the big lie" to describe a lie that "the great masses of the people" will fall for precisely because of how bold and monstrous the lie is. 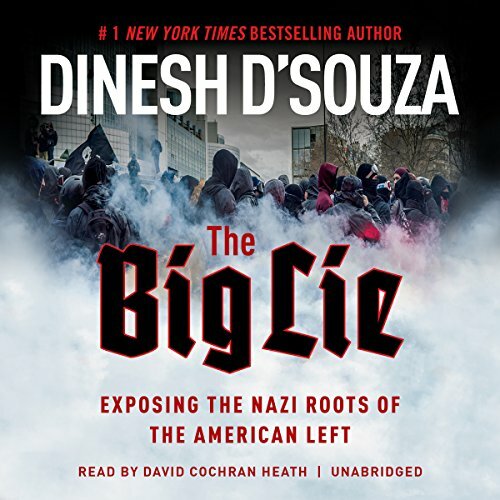 In The Big Lie, D'Souza shows that the Democratic Left's orchestrated campaign to paint President Trump and conservatives as Nazis to cover up its own fascism is, in fact, the biggest lie of all. ©2017 Dinesh D'Souza (P)2017 Blackstone Audio, Inc. This is an important book for people to read regardless of their political leanings. Like previous books by D'Souza, there are hits and misses, but where he hits he hits hard. I feel the misses are an inevitable side effect of the writer's thinking style: his strengths are that he sees links between things that are usually not noticed by others, and that he has the tough-mindedness to spell out these logical trains of thought in an articulate and dramatic way. The result is often productive creativity, but when he misses it is by a mile. The biggest miss here I think in this the link drawn between abortion and Nazi science, which I think even charitable readers from the centre or left will find unconvincing at best. Such aspects can be distracting from the more important themes. The biggest hit of the book, in my opinion, is that the essential characteristics of National Socialism and fascism are actually the same as those found in communist/socialist ideology more generally. This point is made well and buttressed by a detailed discussion of these movements intellectual histories and helps highlight the essentially fascistic tactics used/endorsed by the likes of antifa and much of the ideological intelligentsia. Clear explination of a truly global trend. The face of evil shifts form, but the underlying fundamental elements remain the same: a desire and quest for power via deception of reality and ruination of basic moral codes of honor that gave light and life to civilization. The left collects the logically defective, easily seduced in to launching themselves neck deep into any nonsense that they 'feel' to be a good (predictive reasoning? psh, as-if). Their inability to mentally recognize the abhorrent deceptions that enslave and guide them on paths of evil, easily identified once removed, has the potential to drive all of civilization into pure choas as history easily verifies. Same errors, different epochs, the left always lose, save the destruction their ideas result... Is mankind really this ignorant? The left: Hold my beer. Enjoyed the 'let's not talk about that' historical realities. If it wakes just one, it can change the future. God bless you Dinesh. Good but not his best. Exposing the Nazi roots of the American Left is a worthy task. Jonah Goldberg already covered much of this ground in his book, "Liberal Fascism." 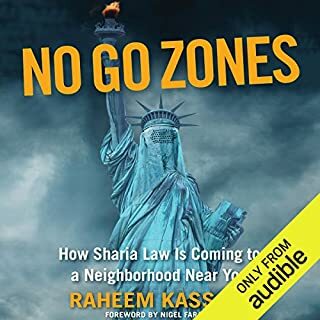 While I like D'Souza very much and admire his courage, this book did not quire reach its goal. 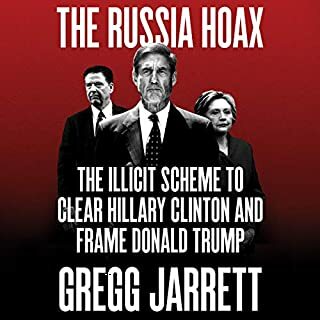 Worth reading but I recommend it be read in conjunction with Goldberg's and with many of the writings of David Horowitz, especially "Unholy Alliance." Found this very factually satisfying! The depth of evidence that he presented really drew me in. Historically Accurate, Informative and Brilliant!!! Dinesh D’Souza is one of the most brilliant people in the 21st century. He rivals Thomas Sowell, Walter E. Williams and Rush Limbaugh. The research he does to document his statements is thorough. I am old enough to have lived through a lot of the things he discusses. He is so factual! I highly recommend this book for everyone who seeks the Truth. Go Dinesh! You are a great man for bringing the Truth to Light! God Bless you and your family in all you do. A hit on everything except the narrator. How I wish this book had been read by the author. I had to listen to this book in shorter time sittings because the narrator was not easy to listen to. His flat tone and dispassionate expression detracted from my enjoyment and attention to the actual contents. 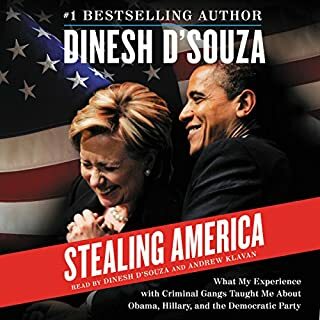 I am familiar with Mr. D'Souza's oratory skills and had he narrated this book, I would have been riveted to listening and might have finished it in less than half the time. This book has been eye opening for me. Dinesh D’Souza does a magnificent job explaining how close the Democratic Party is to the Nazis and Fascists of the 1930s, TODAY! 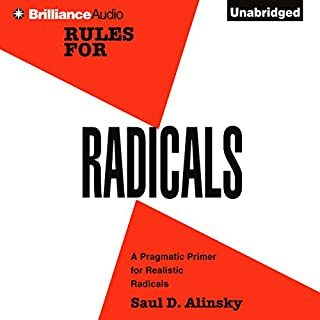 A must read for anyone interested in the truth and in understanding the tactics that the leftists are using today. It is time for conservatives to fight back against the true fascism which only comes from the left. I bought the physical copy a few months back, but only made it thru the first few chapters. 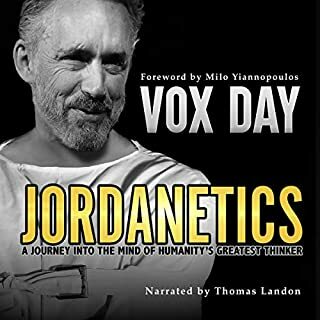 Decided to download the audiobook to power through it and wow. This is easily the most important book of our generation. Exposes the left for what they are. Fascists and useful idiots. The most informative book I ever read about socialism and their derivatives. If you'd like to know anything about bot Socialism, National Socialism, Fascism, Communism and the DNC this is a book for you. One interesting thing I read was that Hitler loved to read Karl May fiction stories where he got some ideas. I wish Dinesh was the reader. I wish Dinesh was the reader. However the book was very informative and I have some things to look up for myself now. I remember about 10 years ago, I was trying to figure out the definition of fascism and Fascism. To my dismay, there was so much crappy information that all I could figure out was 'some sticks bundled together' to make something stronger. Like rope is a bunch of strings. Politically, I came to imagine it started out like Be Pluribus Unum. When I asked 'well informed people' I would get blank stare, or, 'It's terrible', or That was Mouselinni, not Hitler. But a couple years ago I saw AntiFA come on the scene, I thought it was supposed to mean Anti First Amendment. When I found out it was supposed to be Anti Fascism, I could not believe it. I thought to myself "this is the exact conduct I learned about in WW2 history, black shirts and brown shirts." Of course it is pretty easy to see how all kinds of people have been changing history and changing word meanings all along mankind. For example if you are anything about individual freedoms, then that means you are now a RIGHT WING NATIONALIST, homophobe, bigot, rascist, bla, bla, bla. It also occurred to me that the left is using playground 'girl rules' that change during the game. But the older I get the more I see that the left has been using 'girl rules' as long as I've been alive. When cable TV was new, I watched CSPAN and saw the house debate first hand and it became obvious that I've never seen it before. Someone else has been telling me what to think about the congressional deliberations. And more importantly, the news has been telling me what to think all my life. This was the moment when it sank it. Freedom is about free individuals. And the convoluted Constitution may be more genious and perfect than anything written so far. They flipped it around. Here is what the goverment MAY NOT DO. It's brilliant. Yet the most power hungry seem to find their way in mock these protections of the individual liberty as old fashioned silliness. For the left, this is not a war of ideas. It is a war for power. I feel sad for good hearted liberals that have to find out their leaders are fallible humans and sometimes flat evil. 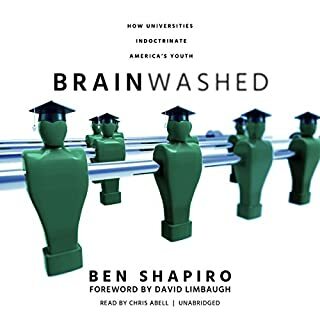 When I listen to this book I fully understand how so many people don't really want to know everything. It's painful. We are monkeys with a glimmer of hope. And this is the best glimmer so far. 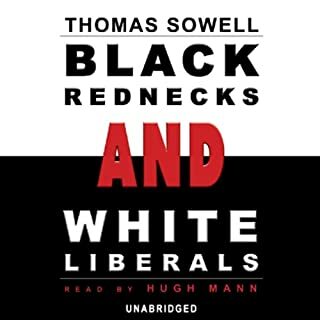 When I listen to his book I wonder how have we lasted so long with freedom. I pray to God that we can keep freedom alive. On this 75th anniversary of the WW2, I am 53 years old and history gets closer and closer. At my age now ... WW2 just happened a little while ago. When I was a child WW2 was just old time movie stuff from a million years ago. We need to be careful with this precious gift of freedom and guard it very deliberately against the muddy waters of changing history and changing the meaning of words. 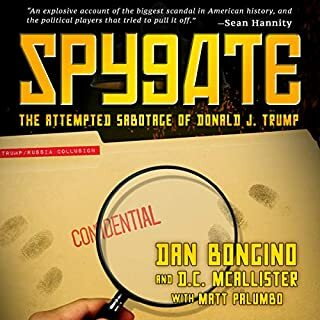 Excellent digging and thesis on Dinesh's part. Maybe God needed him to be in jail for 8 months of night, so he could get his head clear and then continue on with his challenges to the big lies all around us. Go Dinesh. Congratulations on the full pardon. You can vote again. And keep on writing. Dinesh is an apocalyptic force for good. Dinesh is an apocalyptic force for good. The unbiased take in the real life situation of leftism is stellar and epic. 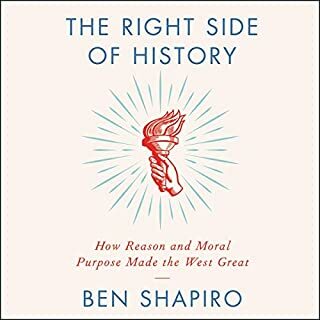 His unapologetic take in history has taught me to reread the history books I was taught in high school, think critically if it is heavily opinionated for "their" audience instead of everyone. The analysis of Adolf Hitler, Mussolini, Anglo-Saxons, Democracts, Racism and Progressiveism is something to be in awe of. Dinesh, in spite of his infamy because of his unjustlified jailed, is a sign that the tide of turning and political correctness and leftism and finally being pushed back. He is a true journalist! He uses very little opinionated thoughts for the facts and is very credible. 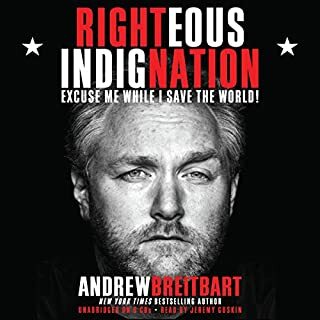 Please support him by reading his book. Superbly researched, written and read. 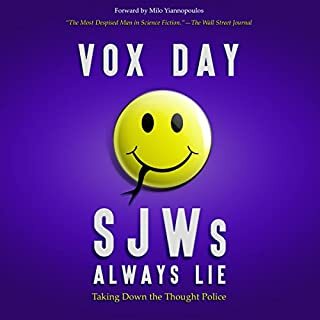 This book turns the weaponised pejoratives, Fascist and Nazi, back on those who habitually use them. It provides a detailed overview of the ideologies behind the communist, socialist and fascist movements of the last century. Dinesh explores distinctions between them and the contemporary manifestations of these belief systems. I found the comparisons between concentration camps and the slave plantations daring. It occured to me that the workhouses were a kind of precursor. However, the author failed to link the huge prison population in the US, due to the phony "war on drugs" and mandatory minimum sentencing that Reagan ushered in. With almost 1% of the US population incarcerated and millions working for a few cents an hour, this is a modern version of slavery on a scale only comparable to the prison population of China. While discussing Woodrow Wilson and the progressives, D'Souza neglected to mention the Technocratic movement that had popular, intellectual support around that era. He also failed to point out how Smedley Butler averted a fascist coup in the US that was being instigated by Prescott Bush, a republican. My problem with this book is its polemic, two party, good against bad, false dichotomy. This is far too simplistic. Gary Allen’s explanation of the left, right delusion in 'None Dare Call It Conspiracy', is far more liberating. Although the author does list the tenets of small, decentralised government, that facilitates genuine diveversity, he appears to be disdainful of Hitler's distinction between parasitic capitalism and free market, production. The Soros type, are a very different breed of capitalist to the Henry Ford type. Having said that; given the constraints of the existing political system, conservatives rallying behind Trump may be the best chance The USA has of avoiding a truly fascist coup. But I remain concerned that such books serve to widen the political rift and risk civil war. Honest conversation may encourage well meaning democratic voters to question their allegiance. 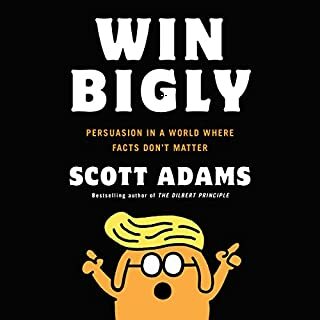 This book however, is probably too much of a partisan, republican club, to be much use in winning over conscientious people. I am no lover of Donald Trump but at the same time I am deeply suspicious of the political correctness and bullying tactics of the American left. 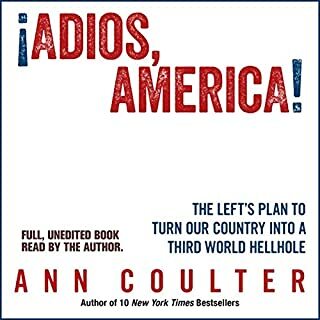 This book clarified for me why Democrats have been so tolerant of Obama’s drone missile attacks on other races and Hilary’s support for invasions of other countries but so intolerant of other people’s right to free speech. It explains why progressives appear to use the same fascist tactics that they claim to hate. Outstanding! Book of the year! This was a real eye opener. The progressive left has much to answer for. This book examines many of the issues people have with modern progressives but may be unable to articulate. The pervasive shutting down of all voices that are not in agreement with whatever we are told is the 'correct' view is wrong. Any moderate or centrist needs a dose of counter narrative to balance the modern media message. D'Souza provides it. 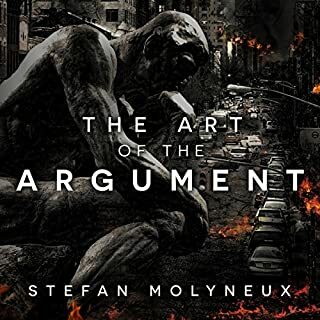 A well researched dive into the morally bankrupt ideology of the Left. This is a call to arms to stand up against the lies and deception of the Left and their thuggish tactics. Very interesting concept, to actually look at the policy breakdown rather than the emotionally charged rhetoric is refreshing. My first book by this author and found it a little self gratifying at times but past that its what seems to be a well researched and source based read. For too long the liberal elite left has assumed hegemony over the truth. 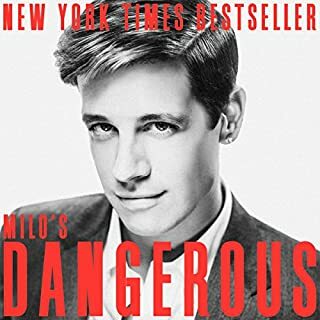 This fascinating in depth study of the origins and development of Fascism and Nazism betrays the lie that they have become the way of the right. In fact they are the means by which the left have sought to attain moral high ground while all the time basing their beliefs wholly on Fascistic principles. I have said for along time that the Nazi's and the Fascists by definition and by action must be left wing to offten an abusive reply. It is good to finally find such a comprehensive break down of this fact. 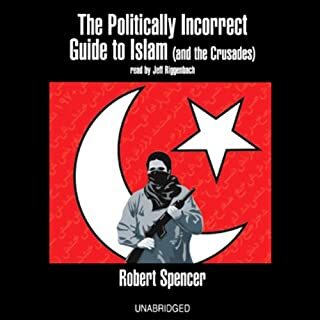 A must read for anyone on either the left or the right.